I decided to write this up because it answers a few questions i often get from customers. So your shrimp just arrived, what should you do? First you should have a fully cycled, mature tank that matches the parameters of the shrimp given to you by the seller. When you rush this process you end up with dead shrimp. Take your time and provide the ideal environment for your new shrimp. Second, DO NOT let the box sit in the elements for hours, arrange to be home for delivery or ask the seller to send hold for pickup. 1 hour in a metal mailbox in low or high temperatures is almost guaranteed to result in DOA shrimp, or shrimp that wont live very long after. Third and just as important, know the sellers DOA policy in case there are any issues. Many sellers have a very clear DOA policy. A very common policy is to notify the seller within 2 hours of stated delivery time or first delivery attempt for DOA coverage. This is the time that the carrier scans the package as they are delivering it to your door/mailbox. 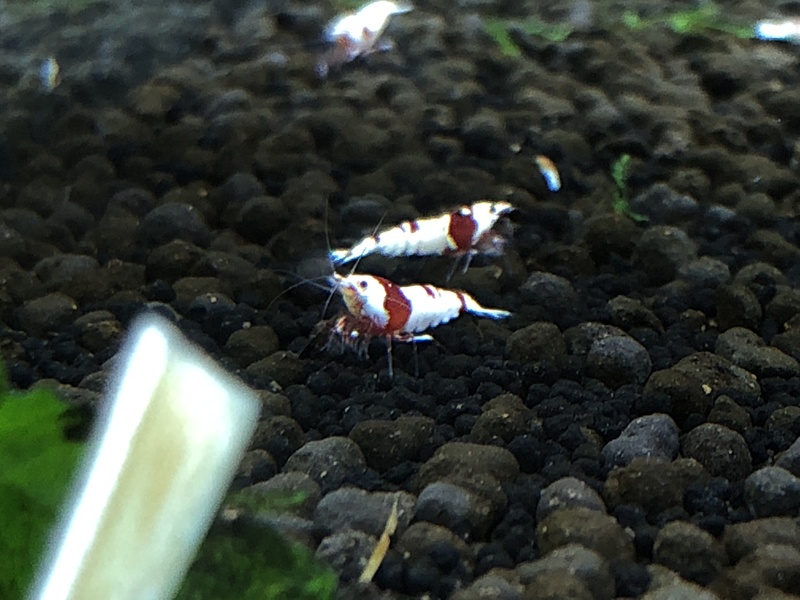 If there is an issue you should ALWAYS take pictures of the dead shrimp in the bag next to the shipping label, multiple clear shots of dead shrimp are recommended, and immediately contact the seller and send the pictures. If the box shows delivered at 11am and you do not contact the seller until 5 pm with an issue, then you are not following the DOA policy and if/when the seller helps you out, understand that they are going above and beyond to satisfy you. After taking pictures in the bag, i also recommend placing the contents of the bag into a small container and taking a few more pictures of the dead shrimp, just to be safe. If you cannot provide pictures in a timely manner then you are at the discretion of the seller. Do not put yourself in this position, know the DOA policy before you even open the box. So you open the box and the shrimp are all alive and well, what should you do? First and most importantly, especially in the winter months, let them come to room temperature NATURALLY. This means setting the bag in your shrimp room for about 3 hours and walking away, or if you prefer, pouring the contents of the bag into a small container. Either way DO NOT artificially raise their water temperature in any way. This can shock the shrimp and kill them. Once the water has come up to room/tank temperature, THEN start your acclimation. Myself I add the shrimp to a small container thats about half full with their original water, then i fill it up til its about 3/4 full. i let that sit an hour or so, then remove half the water and replace with water from their new tank, let it sit an hour, then I feel comfortable adding the shrimp to their new home. I do not drip acclimate, but if that is your method then great, it works well too. I also like to turn the tank lights off for a few hours after adding the shrimp. I feel this keeps them calm and they can slowly come down from the high level of stress from their journey. I also do not feed the first day upon adding shrimp. Meal time is the most stressful time for shrimp, fighting over pellets to an already weak/stressed shrimp does no good for them. » Your shrimp just arrived, what should you do?